You will not believe this cheetah! 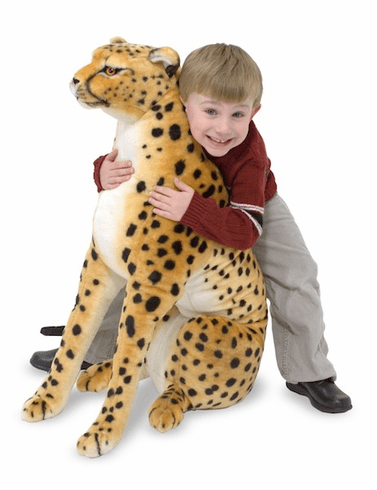 Life-like plush cheetah sits over 4 feet tall! Would make a unique and fun addition to a noah's ark or jungle nursery as well as any toddler or playroom. Measures 50 inches x 35 inches x 12 inches.